Then support Mongabay.com and Mongabay.org. They do amazing work. I spent a few days with the founder, Rhett Butler, earlier this year and I’ve had some personal insight into how tough it’s been to make living doing environmental journalism over the last 15 years. Rhett and his team do an amazing job – if you don’t subscribe to their newsletter, you should. Please consider a donation (or perhaps your organisation might consider doing so). 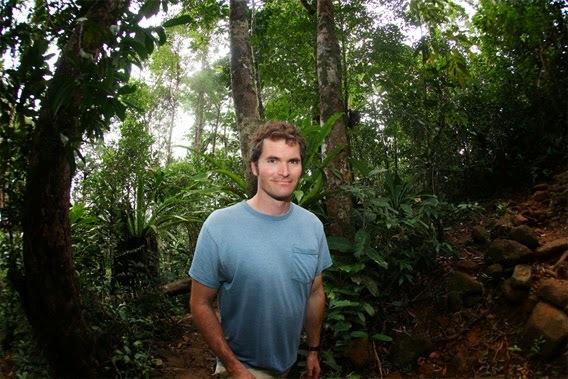 Rhett Butler founded Mongabay.com in 1999 out of his passion for tropical forests. He called the site Mongabay after an island in Madagascar. Mongabay has since grown into the world’s most popular rainforest information site and a well-known source of environmental news reporting and analysis. Today Mongabay draws more than 2.5 million visitors per month and publishes stories in half a dozen languages. It is commonly used as an information source by mainstream media, including The New York Times, The Economist, Bloomberg, National Geographic, and the Associated Press. Over the years Mongabay’s impact has been substantial. Articles on the site have sparked protests in Madagascar against a French shipping company transporting timber logged illegally from rainforest reserves and helped block destructive projects like a plan to clear 70 percent of Woodlark Island off New Guinea for a giant oil palm plantation. In 2012 Mongabay.org was formed to facilitate the development of new education and journalism initiatives and leverage its existing network, traffic, and reputation. Mongabay.org aims to raise awareness about social and environmental issues relating to forests and other ecosystems. awarded one $20,000 journalism prize for the next big idea in rainforest conservation. In 2014 they have expanded these programs, awarding another seven journalism prizes. And later this week they’ll be unveiling another major new initiative.